So... as “horrible” as it sounds, it’s not worse than the previous generation, the Retina’s display failure rate overall is about on-par, just the cable in current generation is bit weaker. Don't think I have this problem, but the vague terms "Stage lighting effect" doesn't really tell me what I'm looking for. Also, I note the iFixit link labels this as "Flexgate". Beyond the overuse of the "-gate" suffix, especially when associated with Apple, but also for anything that doesn't involve Presidentially sanctioned break-ins to hotels, it sounds like they're trying to stir up the controversy. Of the 2500 signatures on the petition, how many actually have the problem, and how many are just signing on to stick it to Apple? Don't get me wrong, if this is a serious problem, then Apple should be fixing it, but I do tend to get suspicious that some of these things are over-reported. My 2016 model has had the screen replaced twice and the keyboard/top replaced once. The redesign didn't fix problems with the screen, it just moved the problem apparently. More than half the problem could have been solved if Apple offered both with and without touch bar Macbook Pros People love MAC laptops but lately in the name of design changes, has gotten less of value. Hope, that changes in 2019 Macbook Pros release with Intel's Sunny Cove 10nm processors and Apple back to basics for Macbook Pro design. "Several people have started threads on Apple's support site but had them deleted, iFixit said." if that is true then that is shocking behaviour by Apple's forum team. Is there any evidence like screenshots? At some point thinness comes at the expense of durability. When you make every component the minimum size you're gonna get problems like this and like the keyboard issues. Whether this one is real I don't know but the logic of going with thinner cables seems to fit with Apple's current pattern. I had this "stage-lighting" issue crop up with my 2nd gen iPad Pro 12.9. This is where I think it's a huge mistake to make a switch because the costs that may incur as a result of defect is likely more than the cost of producing a computer itself. Apple screwed up this one big time. We didn’t have any problems finding forum threads about it. Thanks for that. I did eventually find it by following a few links from the iFixit page above. So far, so good, but it's something to keep an eye out for in future. That sounds like something manipulative. I don’t buy it. There are laptops as thin or thinner than Apple laptops that don’t seem to have all these problems. Very Hollywood. I like it. Not so sure it’s shocking behaviour in any event, those threads might have violated other site standards, like ad hominem (which is forbidden here too but not heavily policed). It has nothing to do with thickness. Besides that, how many laptops you know have that much popularity? I wasn't trying to disprove iFixit's statement. Maybe there were deleted threads, and at this point that would be impossible to prove or disprove given the alleged deletion of them. However, there are also threads about it that haven't been deleted, so Apple clearly isn't nuking them all. I found a trend here. Some people are good at pointing out why things failed, but not so much at figuring out how it means overall. While we may think Touch Bar’s is unreliable in every way, yet from what the data suggests, it’s quite the opposite (and that includes the keyboard). If that’s the case, there’s no reason to say the old ones are better, they just have different weaknesses, but still more reliable machines. The "problem" is that the fix requires replacing the display, not a simple cable replacement (like previous displays, I guess?). 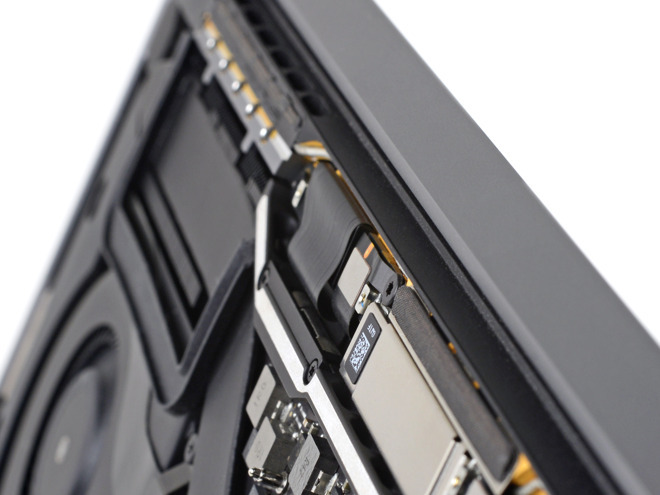 AFAIK, the last MacBook Pro that had a replaceable display cable was the non-Retina 2012 MacBook Pro. It also doesn't appear that it is a widespread problem.